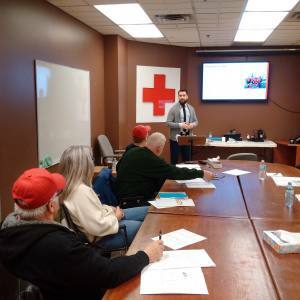 In addition to educating homeowners about how to reduce their flood risk, the Intact Centre on Climate Adaptation has led the development of training programs for a variety of stakeholders, including the Canadian Red Cross, Registered Insurance Brokers, Home Inspectors, Real Estate Agents and more. Currently, the Intact Centre offers a college level flood risk assessment course in partnership with Seneca and Fleming Colleges. The Intact Centre also offers a one hour flood protection seminar for insurance and mortgage brokers, realtors and not-for-profits. 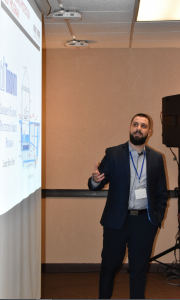 The University of Waterloo partnered with Fleming and Seneca Colleges in 2018 to develop a college-level Home Flood Risk Assessment Training Course. This 14 week online course empowers students from across Canada to help residents assess flood risks at their homes and identify opportunities to reduce those risks through what are often simple and cost-effective solutions. Students also receive flood-risk assessment software that enables them to produce customized home flood assessment reports. The Intact Centre offers Registered Insurance Brokers of Ontario (RIBO) accredited courses and additional presentations to interested groups by request. Please contact Daniel Filippi (daniel.filippi@uwaterloo.ca) with your presentation inquiries. Do you have feedback on our existing training resources or requests for new resources to be added to the page? Reach out to Program Specialist, Daniel Filippi (daniel.filippi@uwaterloo.ca) with your feedback.